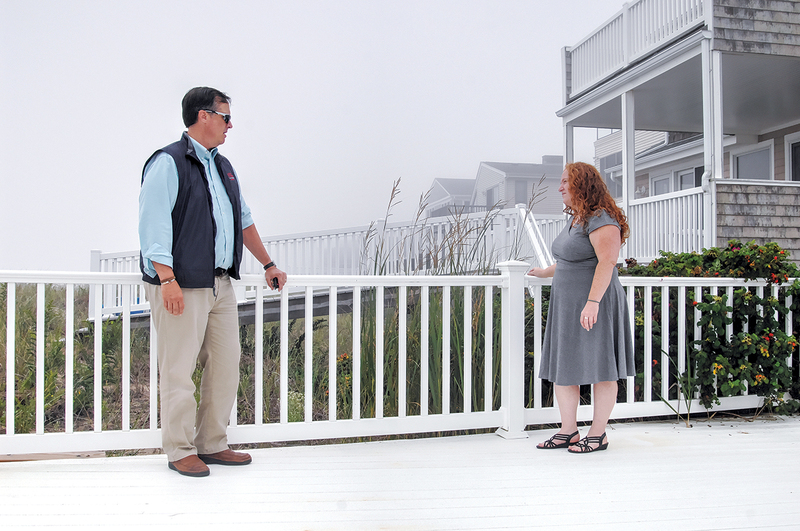 RIGHT FIT: Sarah Lassor and Howard Thorp, of Thorp & Trainer Insurance, are on a deck on Atlantic Avenue in the Misquamicut section of Westerly. Thorp says private flood insurance isn’t right for ­everyone. Next articleFemale architects, engineers scarce in R.I.